Need Diapers?? 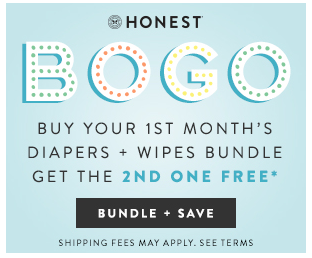 Buy your first month’s diaper and wipes bundle from the Honest Co., get your second month for free! Just go here and use the coupon code DOUBLEUP. This is one of the best deals I’ve seen The Honest Co. offer, so take advantage of this!